No time for sitting in the old gum tree just yet. Bring in some Aussie spirit with this Kookaburra Falco skin. 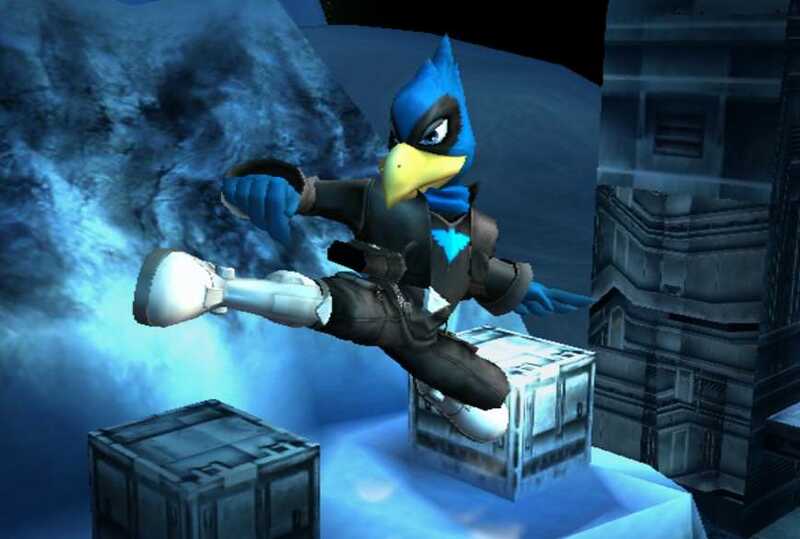 *This comes with some of my older CSPs and Models, so you can choose which CSPs and Models you want. 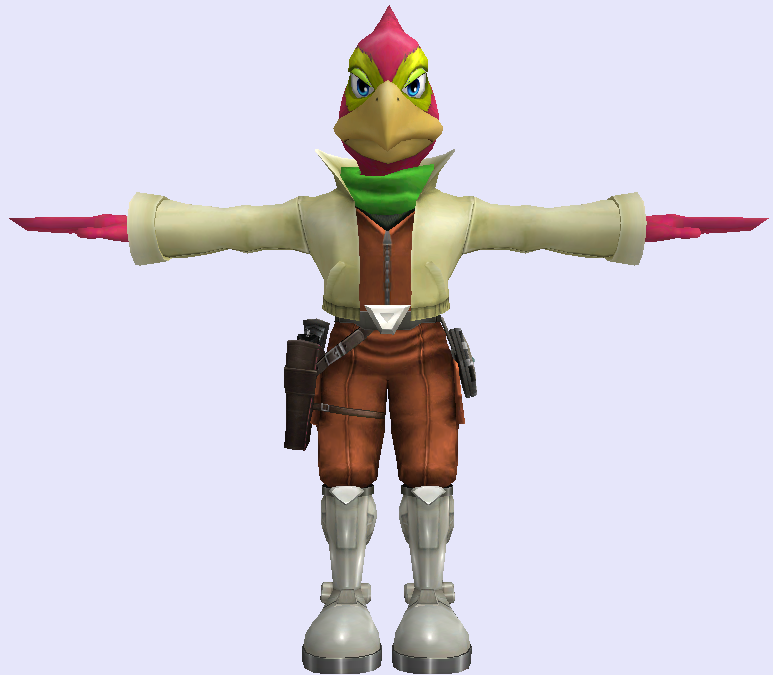 Simple model/texture replacer for Falco with the default Falco color from N64. 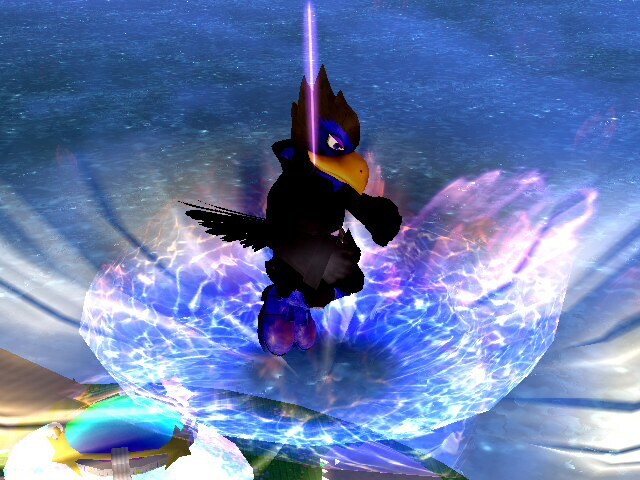 Smash 3C Melee Falco Alternate Pose by Flambo237, jetfantastic with credit to Grayson and Layell for help on the SD stock icons, MaybeGreg for help on the template, the rest of the Smash 3C team for help and feedback. 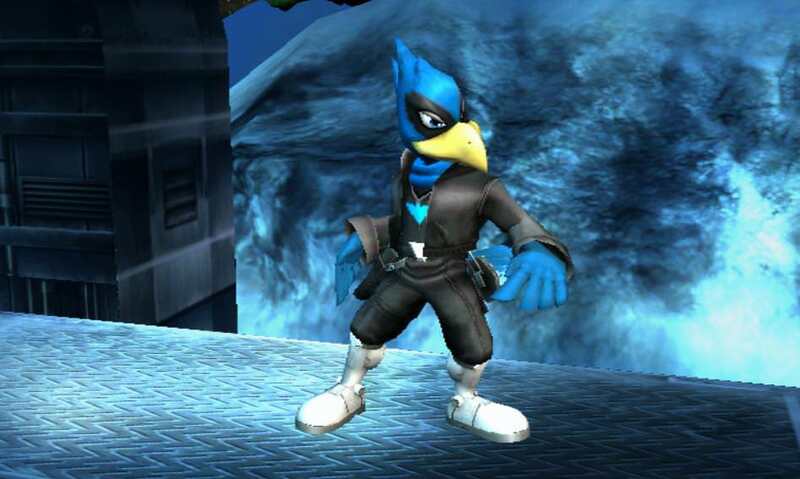 Falco is ready for action with a brand new coat of paint! 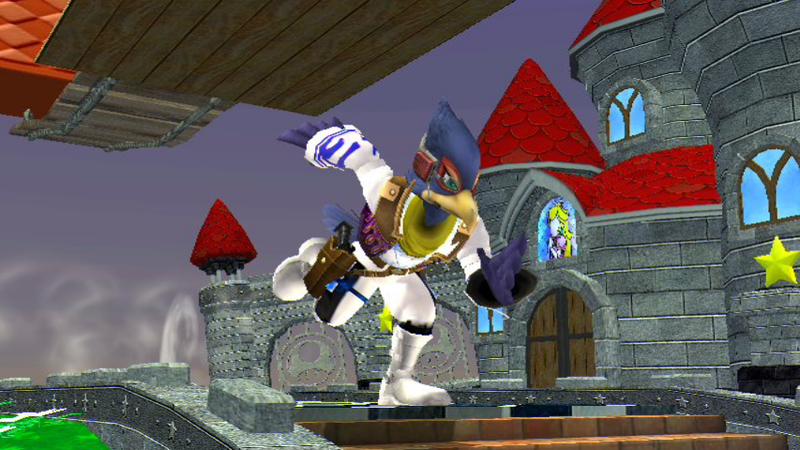 This pack includes HD and SD stocks, CSPs, and BPs for Smash 3C Melee Falco. 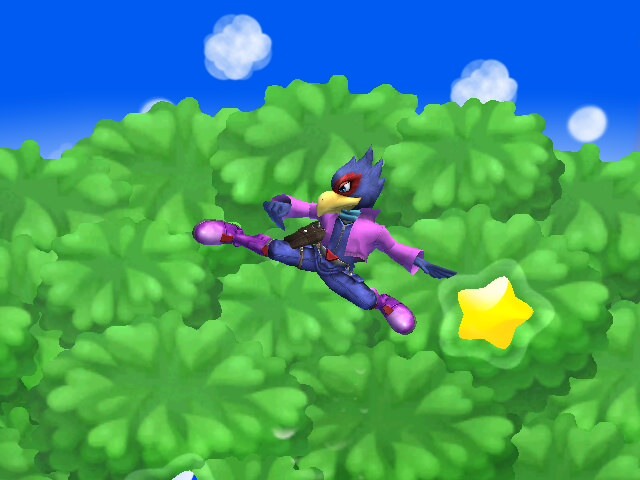 Wrastor Falco by jetfantastic with credit to CSBR's CSProject for cosmetics. 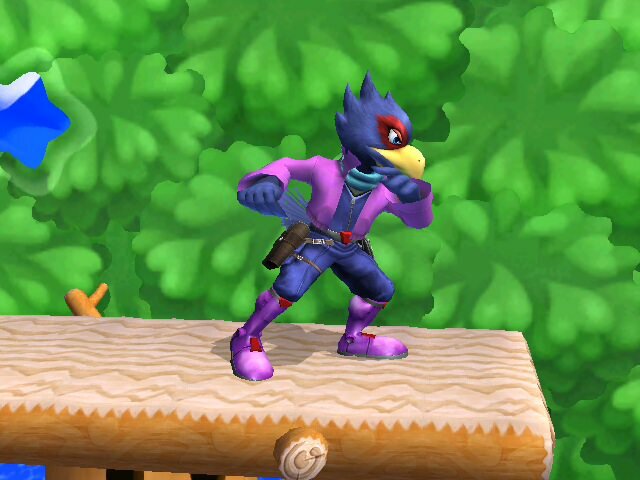 This Falco costume is based on Wrastor from Rivals of Aether. 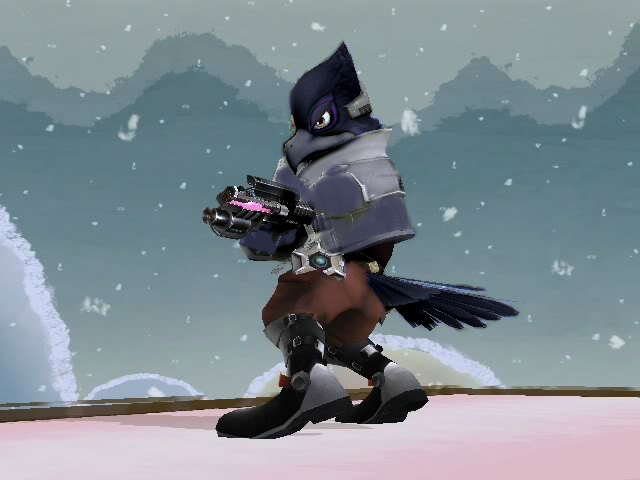 This costume includes vanilla recoloured assets as well as CSProject alternatives. 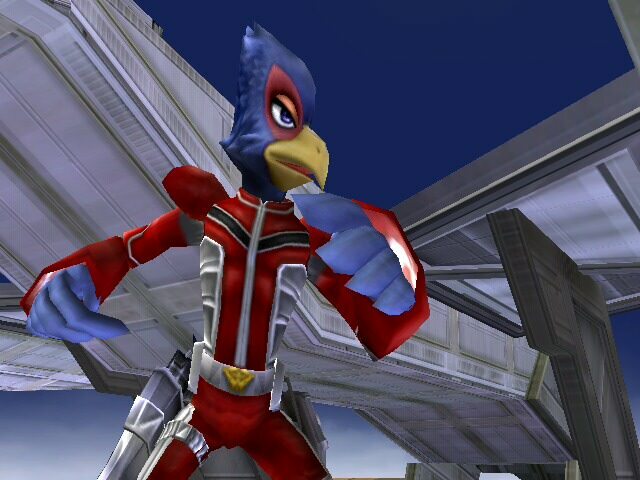 Badman Falco by jetfantastic with credit to PMDT for Melee Falco and CSBR's CSProject for cosmetics. 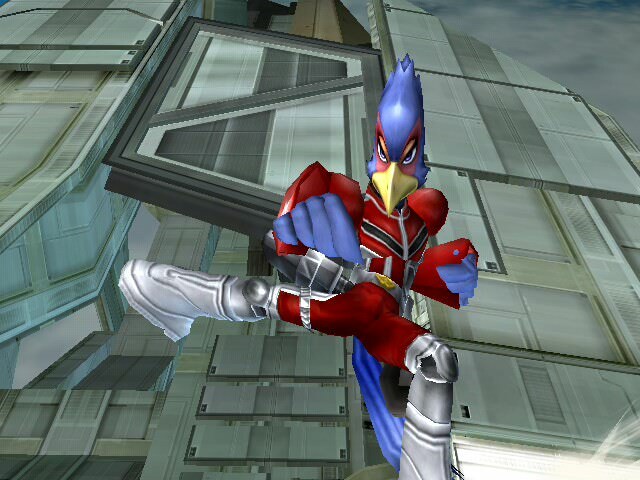 This Falco costume is based off of Vegeta's casual wear in Dragon Ball Z, and includes CSPs, BPs and Stock Icons, with CSProject versions of all. This is the Custom 10KO! Skin for Melee Member Braev! 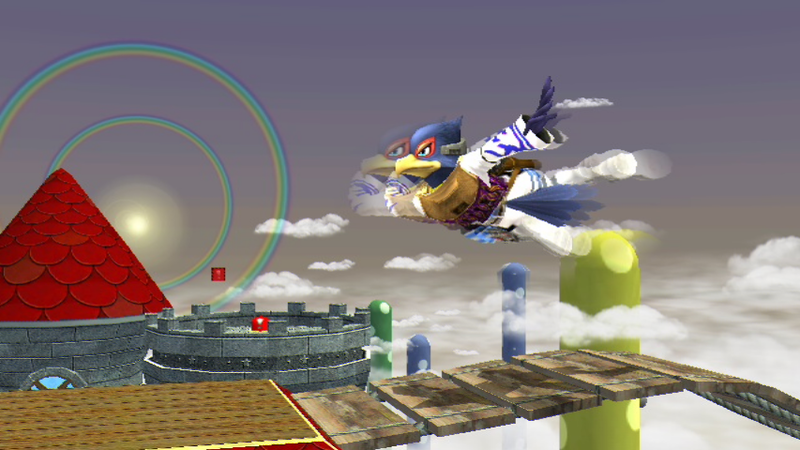 Branding the 10KO colors this falco is quite the threat! A custom skin for Rocky, the Snake player who is #9 on AZPM's PR! 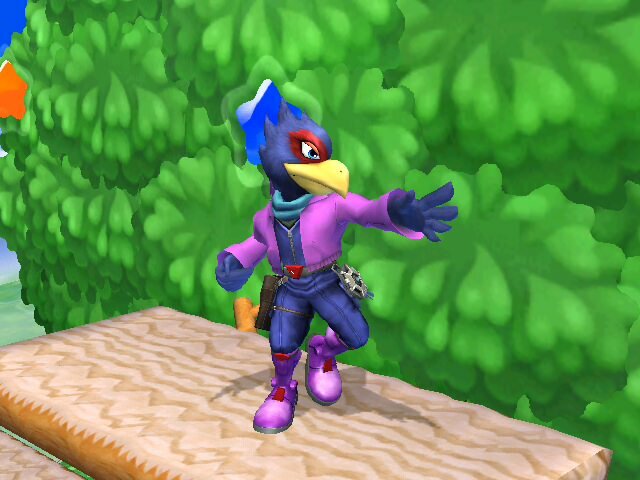 Recolor of the melee Falco PM costume with hot pink fur, bright yellow eyeliner, and a lime green scarf. CSPs, BPs, and stock icons for Legacy TE and Vanilla PM are included. 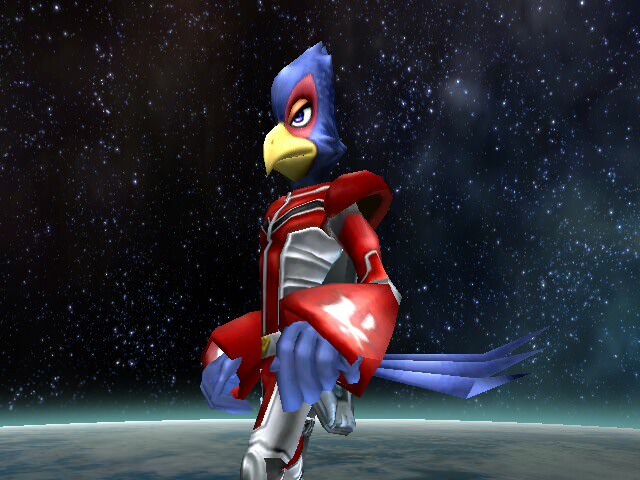 That is Falco! It took me forever to get him and Fox up, but they're up now. Faster, swifter, those four extra diagonal inputs - and you know what? 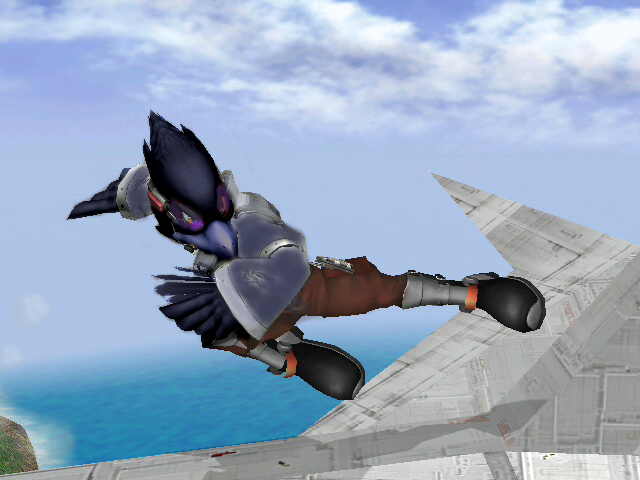 This makes Brawl Falco feel pretty good! 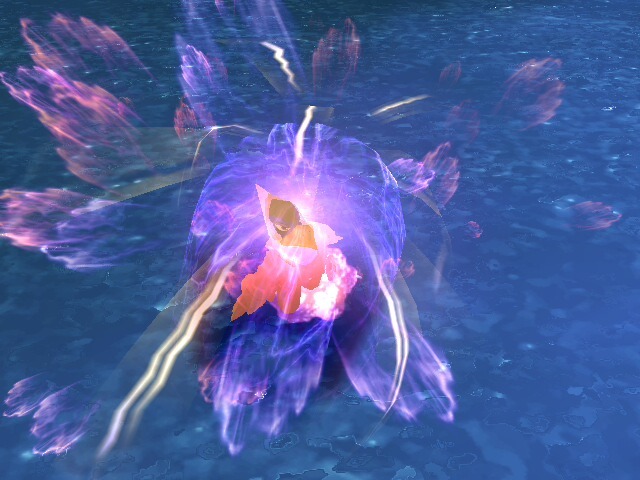 A little bit of Melee touch, and now his decloning doesn't seem like a bad thing at all! Focus on precision and landing hits with this PSA rather than using brute force and trying to always smash or get the KO. The uniform kit here is based around dark blues, red, and gold with some purple. But personally, I prefer that white-on-white combo in the previews. 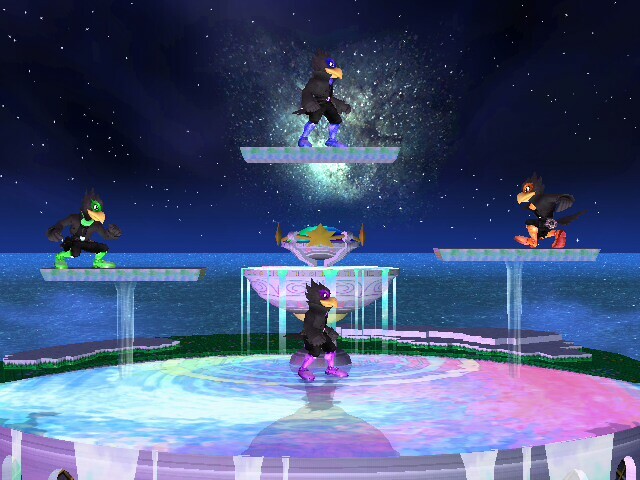 Creds to the guys I gave credit to for basically making the original skin and the Smash 3 version, I just recolored them to make a full set. BPs and CSPs included, unfortunately there's no PCS files, just PACs. PM with issues! 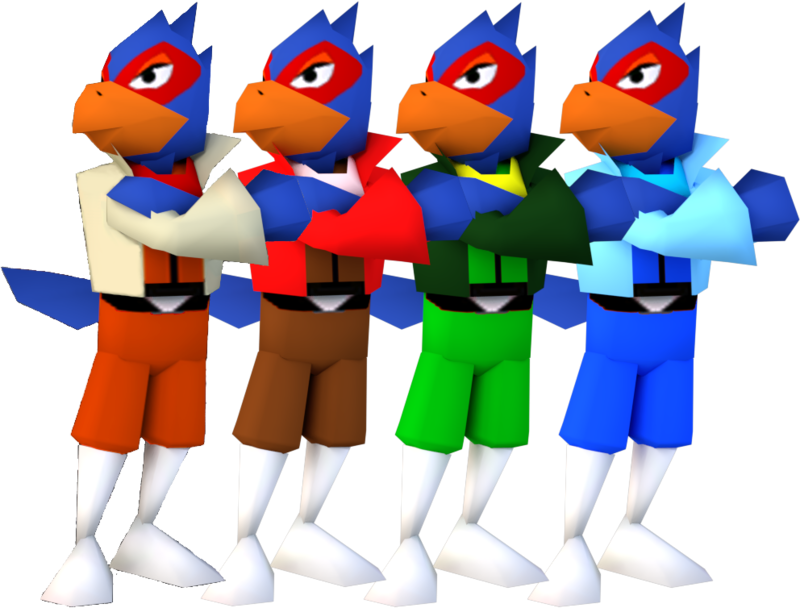 Slight tweaks to Falco's red, green, and blue outfits. Red - replaced boots with default boots. comes with CSPs and BPs. 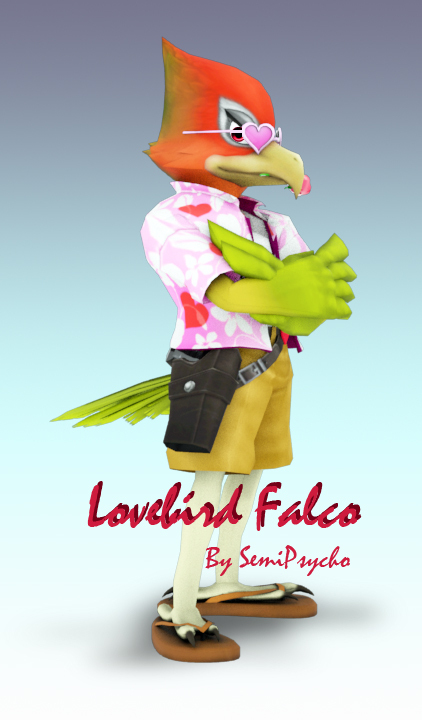 Fujiwara No Falco by Chucklez with credit to Gamidame_K for the textures from their Mokou port and Montecore for the Mokou model and textures from the ported model. This was an costume I made many years ago and hasn't really seen a proper release until now. 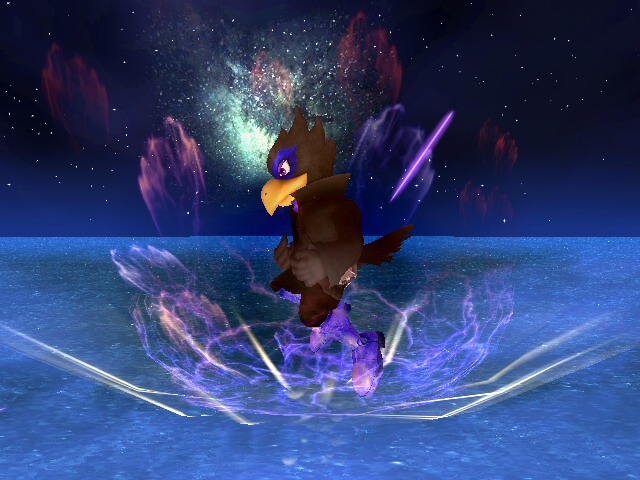 Let me introduce you to the immortal phoenix: Fujiwara No Falco! A simple, yet relatively cool costume to represent Fujiwara No Mokou. 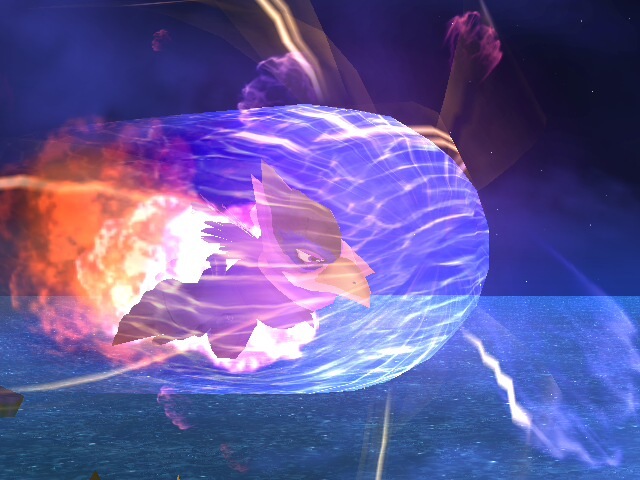 While Captain Falcon would be more suitable, A space bird who can spontaneously burst into flames with an Up-B also fits the bill. I did however borrow some textures from Gamidame_K's mokou so I believe it would be right to credit it them for it. 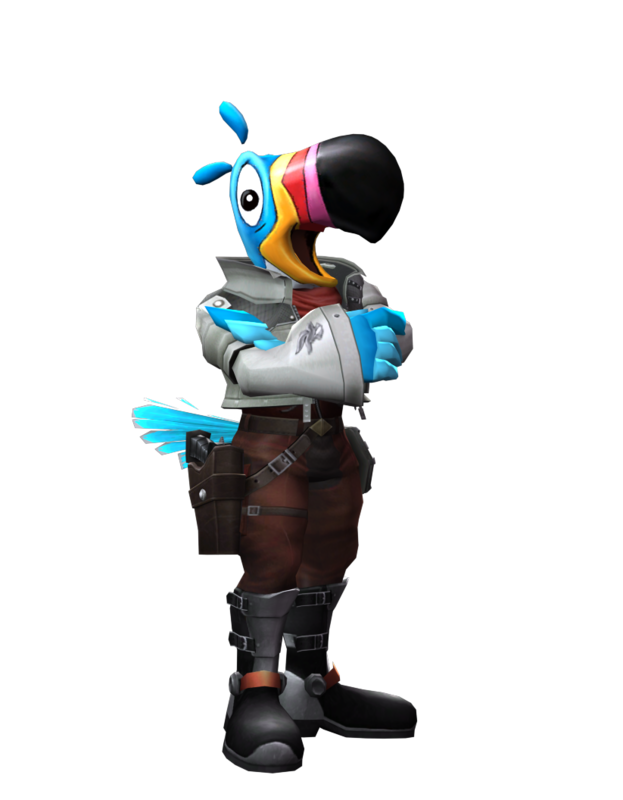 I was bored and decided to make a wonderful creature this falco is ready to use his fruit loops and bair his enemies awway! HAND OFF MY FRUIT LOOPS!!! 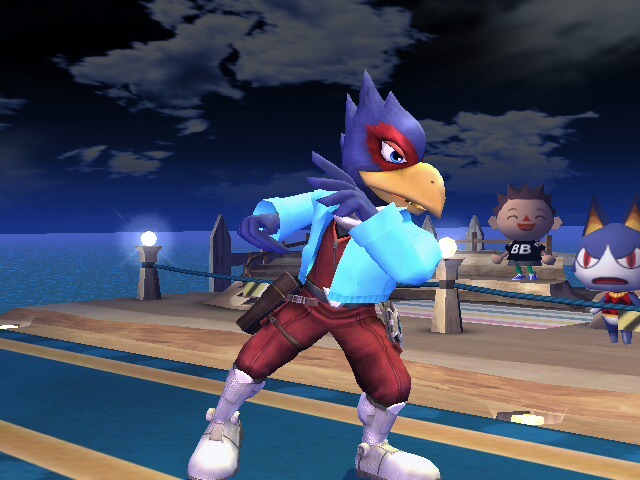 Falco flys in with his pose from the Smash 4 games! Render originally made by SylveonPlaysSSBX, now with uncompressed textures and the recently released colour expansion. Click the image to see all renders. Aesthetic inspired texture hack from me, the guy you don't know. 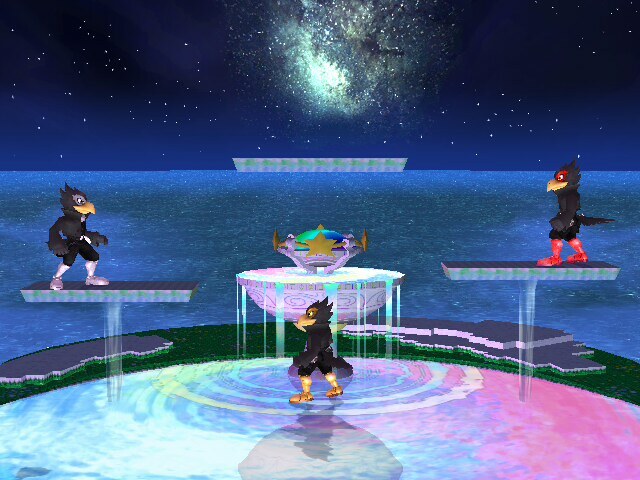 Frieza over Falco by CaliKingz01, Mattimation with credit to Leon Exodio, Vers-oh for the Up B GFX, Mattimation for the Awesome Entry. Hello Everyone! Its been a long wait but he's Finally Arrived. 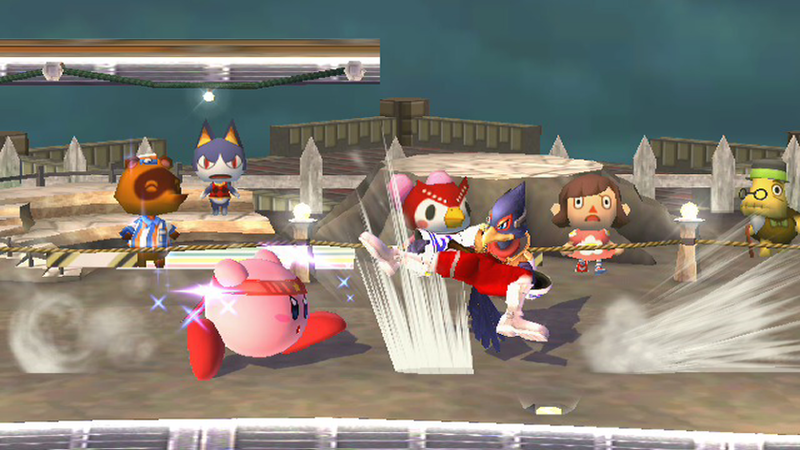 Also Outfits come with a Wii version and Dolphin version just in case the textures get glitchy. Any other errors besides the Entry please feel free to Message me. I'll try to fix it ASAP. 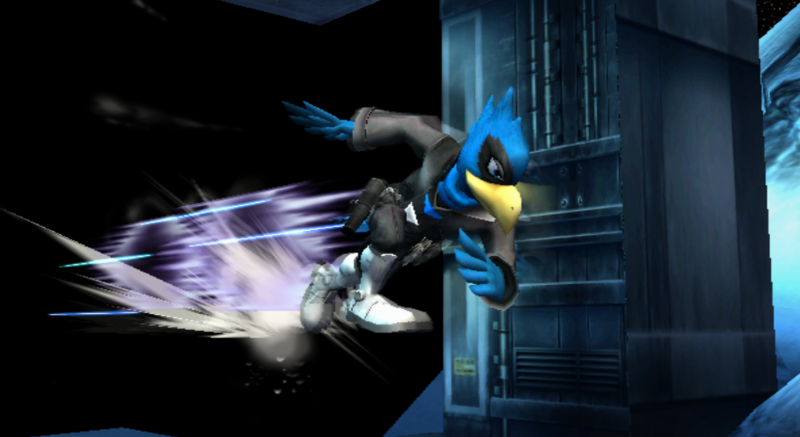 Texture hack made for Project M. A Light Blue Falco skin made with the Cloud 9 team in mind. 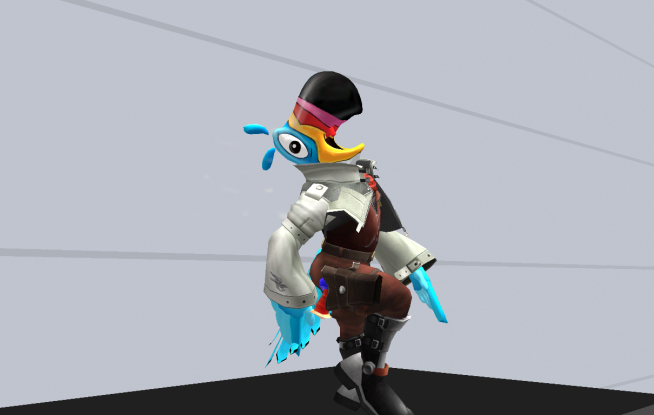 A Custom Skin made for the PGH PM PR player Bambi !! 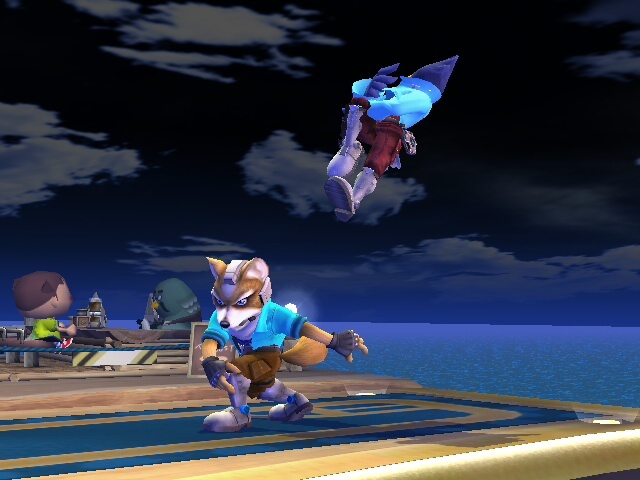 Comes with 2 CSPs, a BP, 2 stocks, 2 slots, and 3 screenshots. Enjoy! 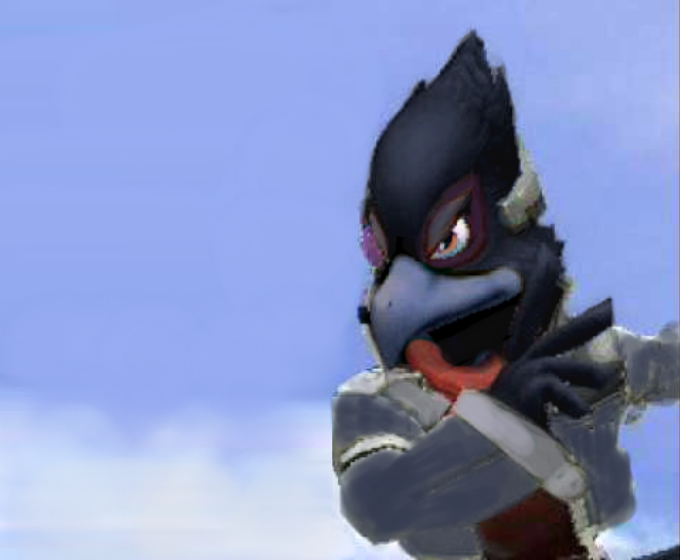 Created a black bird re-texture for Falco then made multiple recolors of areas like his jacket scarf thing, his eye outlines, eyeballs, boots, ect. Page created in 0.658 seconds with 136 queries.